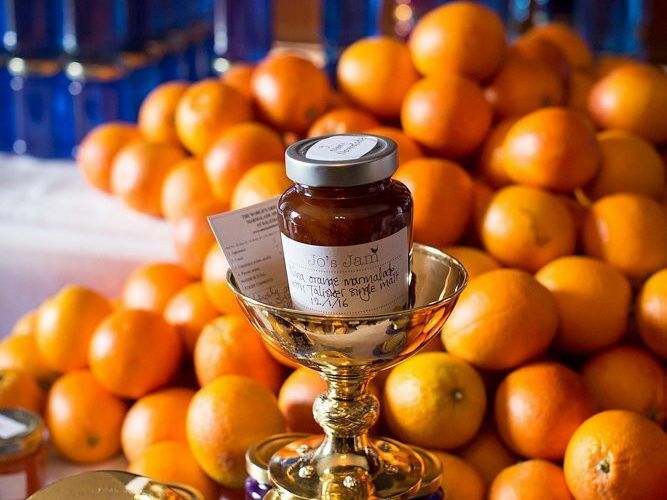 The World’s Original Marmalade Festival will be returning on Saturday 16th March, so put the date in your diaries and get ready to go orange! Join us for a weekend of marmalade celebrations with demonstrations, talks, exhibitions and shows that will inspire you, your family and friends to take the nation’s marmalade to your heart. With more festive food and drink, more hand-picked stalls, live music and free parking. 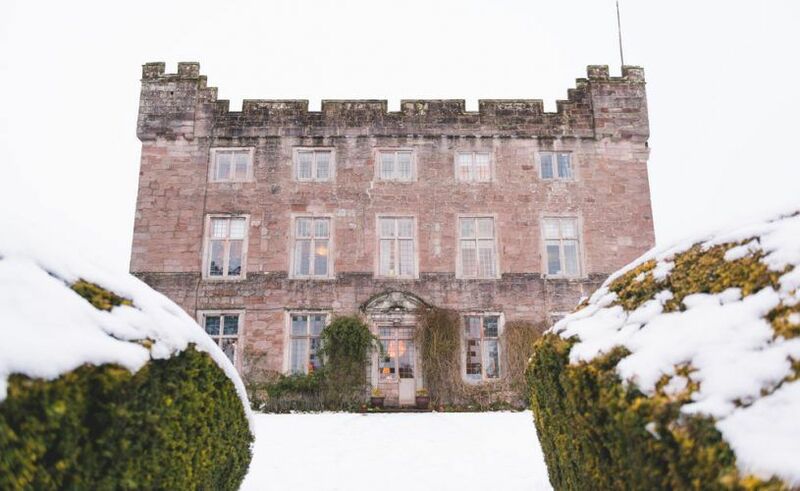 we love Askham Hall’s Christmas market. Bunnies will be bouncing all over our Gallery, as Cumbria’s most famous literary character Peter Rabbit jumps right off the page in this interactive exhibition about Beatrix Potter’s first creation. 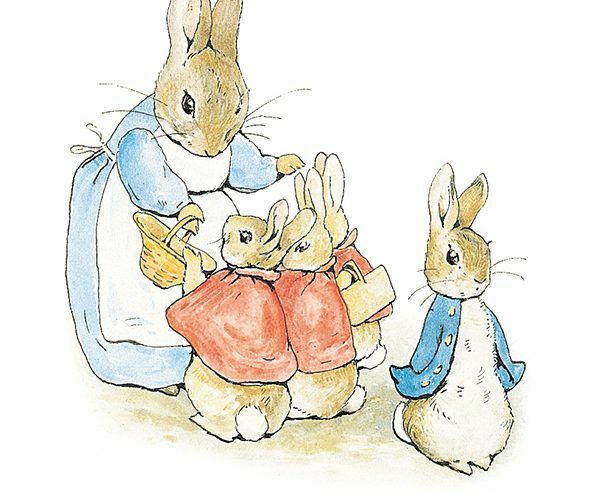 This exhibition tells the story of the creation of Peter Rabbit and includes original artworks and manuscripts which are rarely exhibited. It also reveals a fresh insight into the innovative way Beatrix Potter developed Peter Rabbit toys and games. Children can play like Peter in an interactive learning area. Activities include a giant board game, playing shop, and performing scenes from the Tales. Will your little bunnies help Mrs. Tiggy-Winkle hang out the washing, or aid Mr. McGregor planting carrots in his garden? It’s 1910, and spoilt, lonely Mary Lennox lives a life of luxury in India with her aristocratic parents. But when an unexpected twist of fate suddenly leaves her orphaned, she is sent to live with an unknown uncle in Misselthwaite Manor on the wild Yorkshire Moors. Misselthwaite is a mysterious place full of dark corners and strange night-time noises, and Mary is sure there are secrets to unearth. With the help of some unexpected friends, Mary sets about discovering the legend of its secret garden, in one of literature’s most enduring and magical adventures. Jessica Swale recently won the 2016 Olivier Award for Best Comedy for her play Nell Gwynn. Her other plays include Blue Stockings and acclaimed adaptations of Stig of the Dump and Sense and Sensibility. Accompanied by a delightful score and a menagerie of puppets, her richly imagined adaptation of Hodgson Burnett’s much loved classic is a Christmas must-see for all ages. 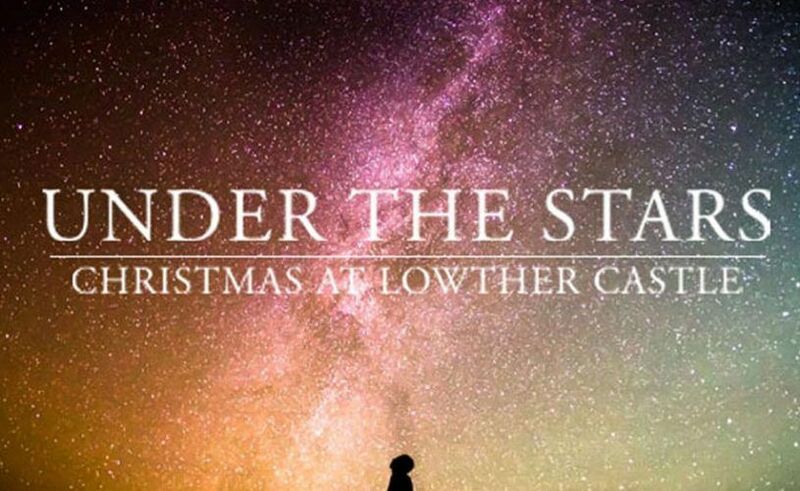 Come and celebrate the festive season Under the Stars, a night of exclusive entertainment at Lowther Castle. Open for two nights across two weekends, experience a night like no other with beautiful illuminations, upbeat live music, DJs, great food and a range of beautiful art installations to explore across the Castle grounds. This is the ideal celebration for families as well as young professionals. …including a traditional Cumbrian market featuring local food and drink, and high quality arts and crafts. There are rural games such as tug of war and hay bale racing to win the Drovers Cup (currently held by AST Signs) as well as fantastic array of street entertainment. Then as night falls welcome the mystical masked procession…featuring fire, music, mayhem and animals aplenty. 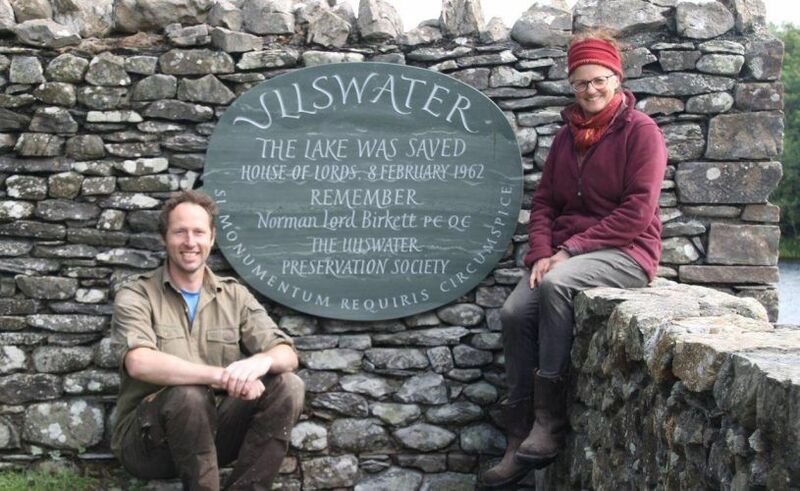 HOW ULLSWATER WAS SAVED: COMMEMORATING LORD BIRKETT AND THE ULLSWATER PRESERVATION SOCIETY. On Tuesday 29 August, a memorial is to be unveiled to celebrate the Ullswater Preservation society and Norman Lord Birkett QC who, in 1962, saved Ullswater from becoming a reservoir. The memorial is the seventh addition to the Ullswater Heritage Trail – a series of sculptures and installations along the Ullswater Way commemorating key moments in the lake’s (and the valley’s) history and masterminded, fundraised for and delivered by the Friends of the Ullswater Way. In the early 1960’s Manchester Corporation Waterworks proposed the building of a weir on the river Eamont at Pooley Bridge, effectively creating a reservoir and increasing the level of the lake by some 3ft. There was an immediate and vociferous public outcry – local residents formed the ‘Ullswater Preservation Society’ and quickly organized a petition of over 500,000 signatures. Following the rare initiative of a Petition to the House of Lords, the proposal was debated on 8 February 1962. Passionate speeches from all sides of the House and most notably by Lord Birkett QC resulted in the proposals being thrown out. The Memorial has been carved on local slate by well-known lettercarver Pip Hall; it has been erected on a popular view point near the Ullswater steamers pier in Pooley Bridge. INVITE TO PRESS: The memorial is to be unveiled on Tuesday 29 August at 2.00pm. Map reference: NY 467 243. “Thus far and no farther. Go away. Come again another day, if you will. But in the meantime, do that which ought to have been done before. Produce the hydrological data on which the House can come to a proper decision. Until that is done, you have no right whatever to invade the sanctity of a National Park”. It was chosen as being particularly appropriate by Richard, Lord Inglewood, whose father, William Vane MP (later the first Lord Inglewood) was instrumental in ensuring the success of the campaign. In 1965 a revised and much reduced scheme was approved following a Public Enquiry. Water is now taken from Ullswater by tunnel to Haweswater under strictly controlled conditions which prevent abstraction when water levels fall. A huge underground pumping station at Parkfoot Holiday Park is largely unnoticed. Lord Birkett is also commemorated in the Ullswater Yacht Club’s ‘must do’ annual Birkett Trophy and a plaque on a lakeside cliff in Hallin wood. For details of Pip Hall’s work see piphall.co.uk. This memorial is the seventh in a series of installations supported by the Friends of the Ullswater Way (FOUW) which was founded in March 2016, and involves all 5 parishes around Ullswater. It has raised almost £20,000 during the last year to finance art and heritage installations on the Ullswater Way Heritage Trail. Full details on the work of FOUW can be found on their website (http://www.ullswaterway.co.uk). 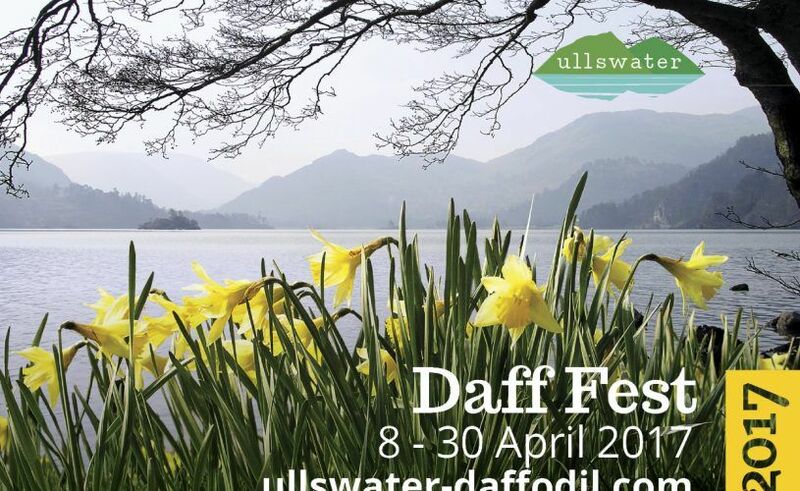 This April Daff Fest returns to the Ullswater Valley for a second year. Enjoy a colourful series of that encourages everyone, both young and old, to delight in daffodils and enjoy spring time just as our local literary greats once did. From guided walks with Lake District National Park Rangers to garden tours, daffodil trails and a spot of theatre – there are plenty of reasons to visit England’s most beautiful lake over the next few weeks. Click here for more information and all events. One of England’s most beautiful lakes is to host the new ‘Ullswater Droving’ event on the evening of Wednesday 26 October – complete with a procession of fire, masks and music which will take in a 8 mile sailing through the Lakeland nightscape. 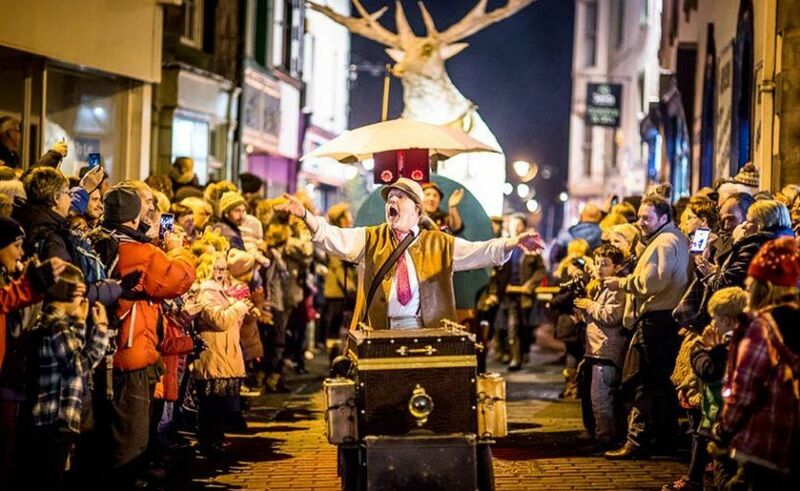 Staged by the award-winning Eden Arts, this colourful new event will get underway with the unique spectacle of Newcastle-based street performers ‘Spark!’ jumping on board a traditional steamer at Glenridding. 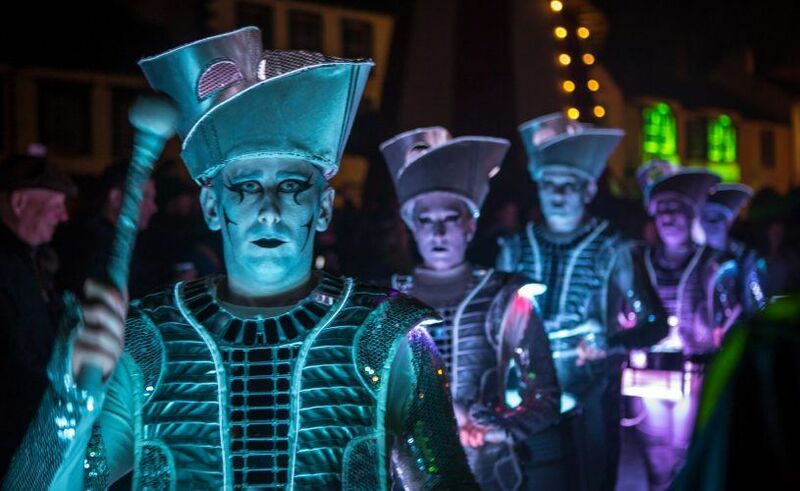 The illuminated drummers will combine light, sound and movement as they sail up the lake, arriving at Pooley Bridge just as darkness falls to meet a multitude of masked torch bearers. As the procession winds its way through the historic village, Spark! will take to the main stage to entertain the crowds, where everyone can gather around the bonfire. Adrian Lochhead, Director of Eden Arts, says, “We are very excited about this special one-off event to mark the recovery of flood-hit Ullswater. 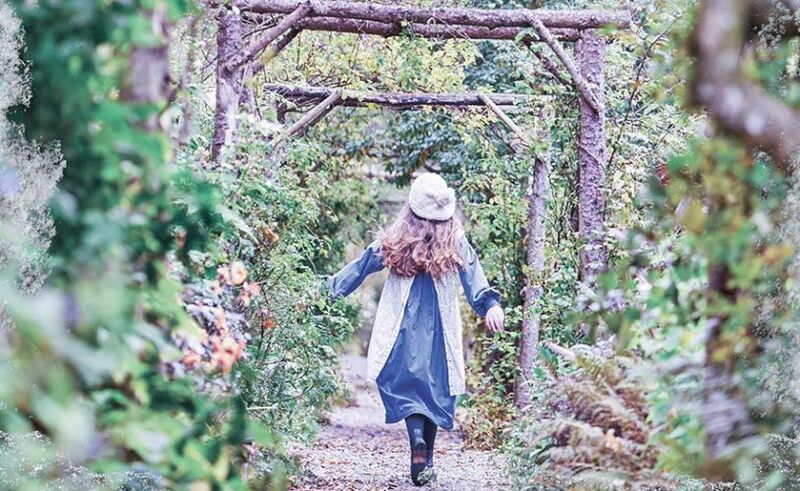 Taking place at half-term, this ‘mini-droving’ is great for all the family and will combine all the elements we love – light, colour, music, dressing up and above, plenty of fun. 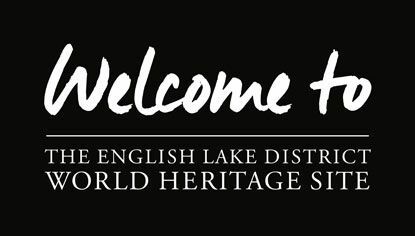 5.15pm – Torchbearers gather at Pooley Bridge steamer jetty for arrival of Spark! Fire torchbearers are being encouraged to wear animal masks or to dress as a drover/shepherd (with flat caps or a touch of tweed). Register online as a masked torchbearer. Donations of £2 per fire torch are requested. The Ullswater Droving is a flood recovery event funded by Eden District Council, Cumbria Local Enterprise Partnership. Thanks to The Lions, Ullswater Steamers, the Ullswater Association and Fellbites Café in Glenridding. 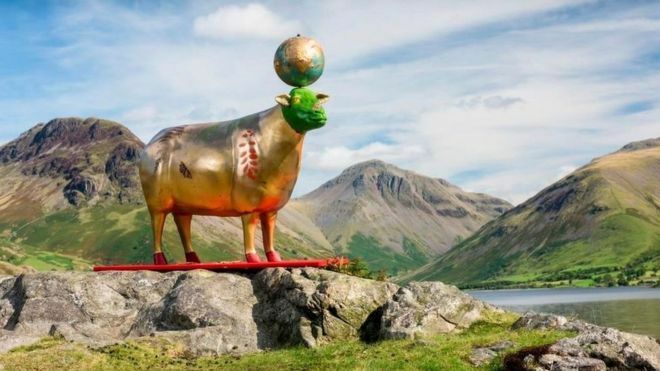 Go Herdwick is a fun public art trail running through the centre of the Lake District between Keswick and Windermere. Throughout Summer 2016 you will find 60 beautifully decorated life-size Herdwick ewes and 48 lambs in a variety of locations, all paying homage to the Herdwick’s iconic status in the landscape and history of Cumbria. Each has been sponsored by a local business and decorated by artists of local, national and international repute. Herdwick spotting is a fun activity for adults and children alike and with dedicated ewe and lamb trail maps to help you find the whole flock, the Go Herdwick team hope that the public take and share as many selfies of our flock as they can! Maps are available to buy fromgoherdwick.co.uk All funds raised help the Lake District Calvert Trust to deliver challenging outdoor activities for those with disabilities, through the development of a new rehabilitation centre in Keswick. 1863 GETS AN EARLY CHRISTMAS PRESENT – TWO AA ROSETTES!